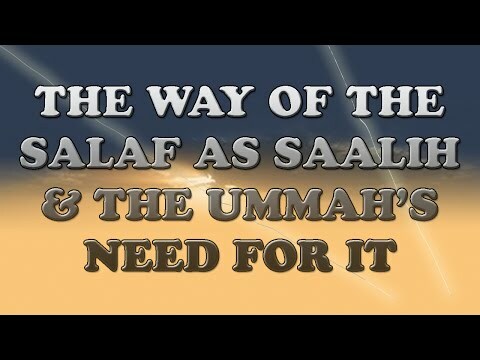 An enlightening and educating lecture on the way of The Salaf As Saalih by our father and noble Shaykh Saalih Al Fawzaan. Translated by Abuabdilmaalik Abdulhaqq. If you would like to support the spreading of similar authentic Islaamic articles then click the link below to make a secure contribution. Jazakallahu Khairaan, and please remember us in your supplication.